It wasn’t long ago when not many folks knew about Gary Duncan’s amazing collection of eclectic Japanese cars. Then Jalopnik wrote a story on it, and ever since, our friend the Virginia dealer and JDM importer has been getting calls off the hook—including one from a producer working on a piece with Bill Gates and Warren Buffet, as the Roanoke Times points out. Two years ago, after I wrote a story about a secret Mitsubishi collection in Germany, a Jalopnik reader emailed in and told me about an amazing car collection near Blacksburg, Virginia owned by the car dealer he worked for. The reader attached a few photos that sent my jaw to the floor, so a few months later when I was in the area, I grabbed my coworker Jason, and we drove to Gary Duncan’s place in Christiansburg. Gates, as many of us know, is a car enthusiast and prolific collector. He also helped change the U.S.’ import laws so he could get a Porsche 959 here under the Show and Display rules. Fortunately, he didn’t have to go through such lengths to get into the Figaro. The Roanoke Times mentions that it’s not just billionaire businessmen who have gotten seat time in Gary’s amazing stash of cars, it’s also actors and race car drivers. “We’ve done three or four movies,” Gary told me, before mentioning that he sent a GT-R and a 300ZX to Atlanta to be filmed in an Avengers movie. He also told me that he sent cars to New York for another film that he believes is called Beshira, which—looking at IMDB—appears to be a horror movie. Gary’s amazing collection, once hidden in a warehouse in Virginia, is now a crown jewel enjoyed by many. As it should be. Yes, we helped get the word out, but it’s obviously Gary who deserves all the credit here. He’s the one who amassed what is almost certainly the most impressive Japanese car collection in the whole country. And perhaps even the world. 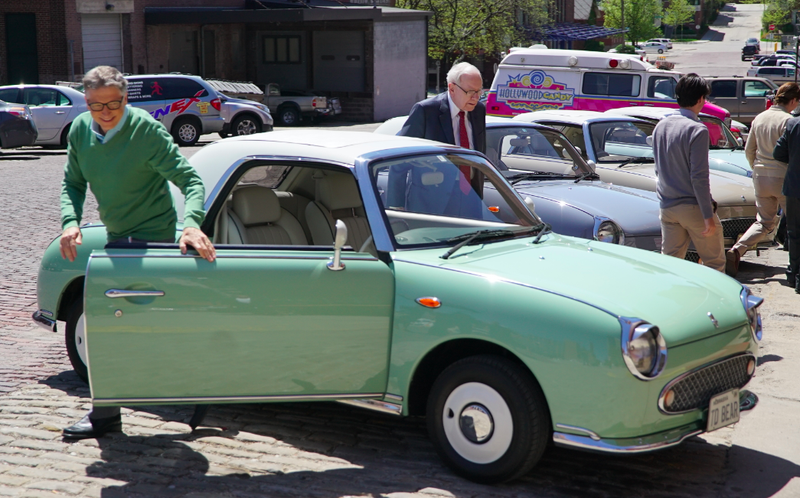 Though we’ll take any credit we can for helping the world realize the wonders of the Nissan Figaro.